Professor Janice Kiecolt-Glaser, the Director of the Ohio State Institute for Behavioral Medicine Research, holds the S. Robert Davis Chair of Medicine in The Ohio State University College of Medicine; she also holds the title of Distinguished University Professor. Working in the area of psychoneuroimmunology, she has authored more than 250 articles, chapters, and books, most in collaboration with Dr. Ronald Glaser. Their studies have demonstrated important health consequences of stress, including slower wound healing and impaired vaccine responses; they have also shown that chronic stress substantially accelerates age-related changes in inflammation which is linked to some cancers, cardiovascular disease, type II diabetes, osteoporosis, arthritis, and frailty and function decline. In addition, their programmatic work has focused on how personal relationships influence immune and endocrine function, and health. Her more recent work has demonstrated how stress and depression can alter metabolic responses to high-fat meals. See http://pni.osumc.edu/ for an overview of her research and copies of her publications. Most notable among her honors is her membership in the Institute of Medicine of the National Academy of Sciences. In addition, she is a Fellow of the American Association for the Advancement of Science, as well as the American Psychological Association; she has received the Award for Outstanding Contributions to Health Psychology from the American Psychological Association's Division of Health Psychology twice, as well as the Developmental Health Psychology Award from the Divisions of Health Psychology and Adult Development and Aging. She is a past President of the Division of Health Psychology. 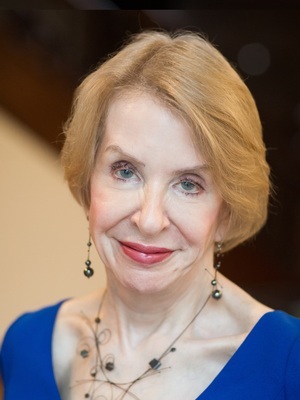 The Psychoneuroimmunology Research Society gave her the Norman Cousins Award, and the American Psychosomatic Society gave her the Patricia A. Barchas award for outstanding contributions to the study of the impact of social behavior on physiology. She is listed in the Institute for Scientific Information ISIHighlyCited.com (among the world's most highly cited authors, a group comprising less than one half of one percent of all publishing researchers). She is currently a member of the NCCAM Advisory Council and she has served on the editorial boards of 10 professional journals including Brain, Behavior, and Immunity, Journal of Consulting and Clinical Psychology, Psychosomatic Medicine, and Health Psychology. Her research has been supported by a series of grants from the National Institutes of Health, including a MERIT award, as well as a Research Career Development Award, and she is currently a PI on two NCI grants. In 2008, she received The Ohio State University's highest honor for scholars, appointment as a Distinguished University Professor, a title awarded to only ~50 faculty members since 1985. She has published two mystery novels, Detecting Lies and Unconscious Truths. Recent work from her lab has shown that daily stressors, marital discord, and a history of major depressive disorder alter obesity-related metabolic responses to high-fat meals, lowering post-meal energy expenditure and fat oxidation while heightening insulin production, changes that would promote weight gain. Current studies are extending this line of work. Poorer physical fitness, depression, and obesity are all associated with higher levels of inflammation. One of her projects uses a typhoid vaccine as a peripheral immune stimulus to assess how physical fitness, depression, and obesity influence the magnitude and kinetics of a transient inflammatory response to the vaccine, as well as inflammation-associated behavioral changes: pain, cognitive problems, depressive symptoms, and fatigue. These questions are important because immune challenges are commonplace in daily life, and the ability to minimize inflammatory responsiveness influences the total burden that infectious challenges or tissue injury place on an individual. Another segment of her current research focuses on the ways that mood and obesity interact to promote maladaptive responses to fast-food type meals (i.e., meals high in saturated fat), substantially boosting post-meal inflammation and triglyceride responses associated with cardiovascular risk. Breast cancer survivors are being studied because adjuvant anticancer therapies induce important short-and long-term cardiovascular side effects, and prior cancer therapies may influence with meal-related responses. Kiecolt-Glaser JK, Loving TJ, Stowell JR, Malarkey WB, Lemeshow S, Dickinson SL, Glaser R (2005). Hostile marital interactions, proinflammatory cytokine production, and wound healing. Archives of General Psychiatry, 62:1377-1384. Glaser R, Kiecolt-Glaser JK (2005). Stress-induced immune dysfunction: Implications for health. Nature Reviews Immunology 5:243-251. Kiecolt-Glaser JK, McGuire L, Robles T, Glaser R (2002). Psychoneuroimmunology: Psychological influences on immune function and health. Journal of Consulting and Clinical Psychology 70:537-547. Kiecolt-Glaser JK, McGuire L, Robles T, Glaser R (2002). Emotions, morbidity, and mortality: New perspectives from psychoneuroimmunology. Annual Review of Psychology 53:83-107. Kiecolt-Glaser JK, McGuire L, Robles T, Glaser, R (2002). Psychoneuroimmunology and psychosomatic medicine: Back to the future. Psychosomatic Medicine 64:15-28. Kiecolt-Glaser JK, Newton TL (2001). Marriage and health: His and hers. Psychological Bulletin 127:472-503.